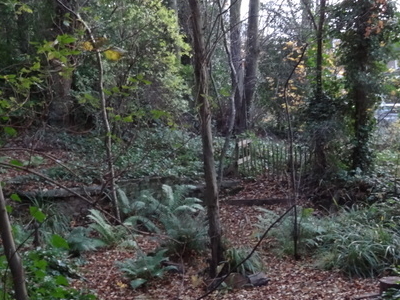 Dulwich Upper Wood is a 2.4 hectare local nature reserve and Site of Borough Importance for Nature Conservation, Grade 1, in Crystal Palace in the London Borough of Southwark. It is owned by Southwark Council and managed by the Trust for Urban Ecology. The site is mainly oak woodland, and some of the oak trees are over 300 years old. It also has many sycamores and other native trees, while some date from the Victorian gardens. There are over 200 species of fungus, and plants include wood anemones, bluebells, ramsons and yellow pimpernels. There is a wide variety of breeding birds. There is access from Farquar Road, opposite Dulwich Wood Avenue. Here's the our members favorite photos of "Nature Reserves in London". Upload your photo of Dulwich Upper Wood!